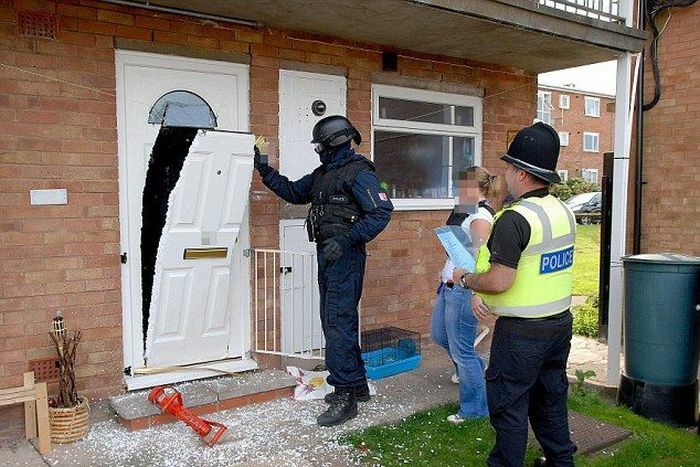 British cops like to do things the easy way. Don't want to answer your door? 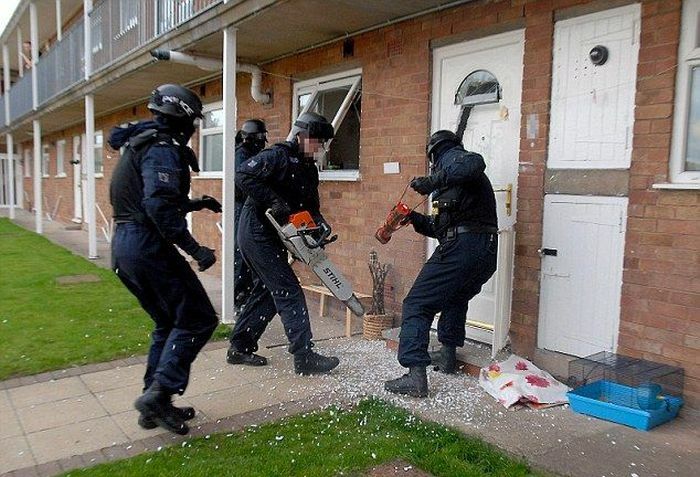 No problem, they'll let themselves in, with a chainsaw. #4, look, it's as good as new. Funny thing is if you hear them and offer to open the door they refuse. 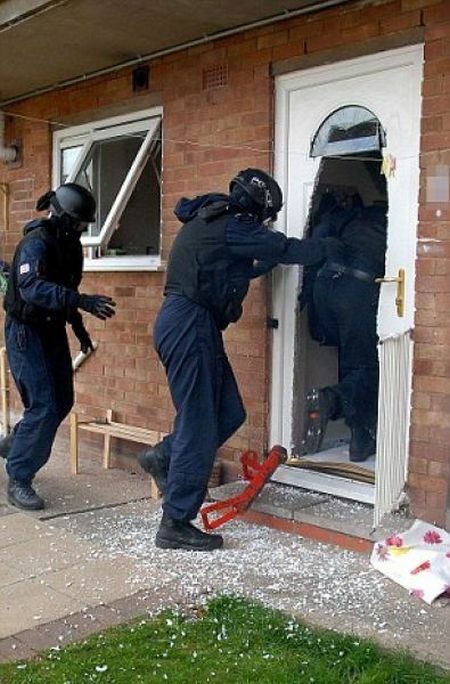 Watched a reality show of british cops and they were using those door hammer things to knock in the door. 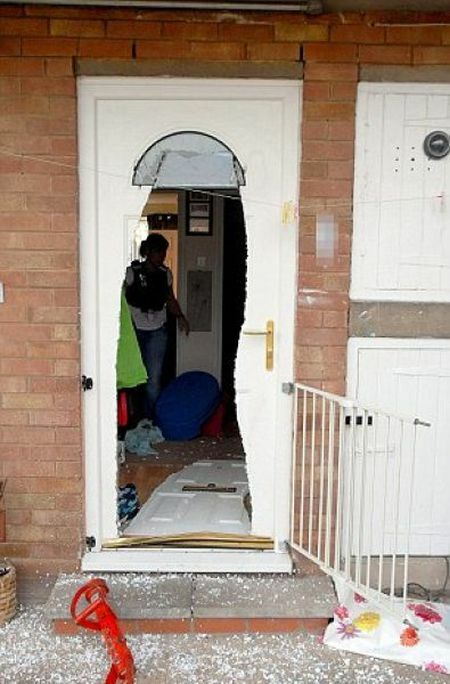 People inside heard the first knocks and ran to the door and shouted out an open window 'let me open the door'. They said no, get away from the door. Then it took them another few min of hammering the door before they got in, with a constant soundtrack of the guy shouting 'please let me open the door'. could of got a key from apt. manager? It was easier to open it?